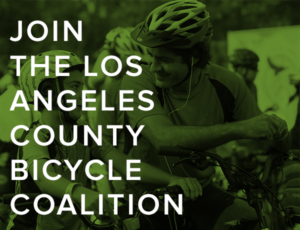 On a personal note, today marks the 10th anniversary of BikinginLA, which started with a single blog post complaining about the sad state of bicycling in Los Angeles. Thank you for ten years of reading, and allowing me to do what I love. 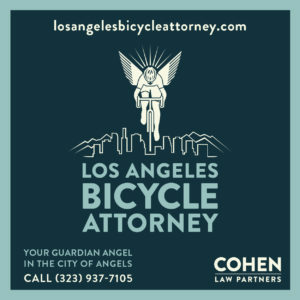 And what I can to help make biking in LA just a little safer and more enjoyable for all of us. That public meeting to discuss safer streets in South LA has been moved to tomorrow night, rather than tonight as we mentioned yesterday. 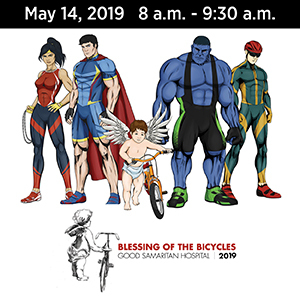 The change in date seem suspicious, since it’s now scheduled for the same time as the march and press conference to demand justice for fallen cyclist and hit-and-run victim Frederick “Woon” Frazier. However, I’ve been assured by Councilmember Marqueece Harris- Dawson’s office that the original date was a typo, and the meeting was always scheduled for Thursday. An unidentified Twitter user responded to getting cut off by a bike rider by pulling alongside the rider, and pushing him off his bike from a moving car. He seems very proud of himself, pinning the tweet even though it’s evidence of a crime. Hopefully this tweet will be removed by the time you read this, since it would appear to violate their terms of service. Let alone an admission of guilt. CiclaValley offers before and after video from a repaving project on Forest Lawn Drive, suggesting the new improvements left bicyclists worse off than before, with a bike lane that narrows to less than a foot in some place. A webinar will be held to discuss the proposed Hollywood Community Plan, which includes proposed bikeways, from 5:30 to 6:30 pm tomorrow. Also tomorrow, LA County Commissioner Hilda Solis will host a public meeting to discuss how to make Eastside streets more accessible for pedestrians, bicyclists, buses, and rail users. The coming Taylor Yard bike and pedestrian bridge is up for an international design award at the World Architecture Festival. Burbank state assemblywoman Laura Friedman discusses why safe speed limits matter. A Fresno couple on a tandem were seriously injured when their wheel disintegrated after hitting a pothole while they were descending at 47 mph. Lime makes its data-based case for why their e-scooters belong in San Francisco, noting that 60% of users said their ride replaced a car trip. Vice offers a list of five things cities can do right now to reduce cyclist deaths. Make that four, since the bicycle-to-vehicle sensor systems they mentioned aren’t available yet. Save this list of bike-friendly Tucson cafes for the next time you’re riding through town. Heartbreaking story from Iowa, where a 79-year old woman walking on a bike path with her son was killed in a collision with a speeding bicyclist; the police declined to investigate, and the riders didn’t identify themselves. If that happened anywhere else, it would be considered a fatal hit-and-run. Oops. Ohio police call off a search for a bike rider who was reportedly struck by a truck on a highway, knocked over a guardrail and into a waterway, when the bike’s owner came back and said the bike had merely fallen off his truck. A Dallas magazine asks if the city will ever favor neighborhoods over freeways, saying it falls further behind world cities with every mile of asphalt. Life is cheap in New York, where police refuse to pursue charges against a killer hit-and-run driver, who somehow claimed she had no idea she hit anyone — despite crashing into a mother and daughter with enough force to kill the little girl. Bicycles ruled DC back in the ’90s. The 1890s. New Orleans police throw the book at a lightless salmon cyclist who went out for a pack of cigarettes at 4 am, apparently writing up violations for everything they could think of and resulting in a whopping $920 in fines. Mounties in British Columbia are on the lookout for a bike rider who sprayed a dog with a chemical irritant after arguing with the dog’s owner. Police in Edmonton, Canada swarm an intersection to issue warnings when drivers can’t seem to figure out what No Right on Red signs next to bike lanes mean. A Toronto newspaper spends an hour watching traffic bike and motor vehicle traffic at an intersection, observing 609 traffic infractions and noting that most went through incorrectly, on two wheels or four. A new study shows that the Mini-Holland bikeways installed in London’s outer boroughs have succeeded in boosting bicycling and walking rates. Manchester, England begins work on a $661 million plan to install 74 miles of Amsterdam-style segregated cycle lanes crisscrossing the city. Yet the Daily Mail can only envision traffic chaos. A UK paper looks at British cycling champ Victoria Pendleton, and the bikes she’s designed for the Halfords retail chain. Caught on video: A group of men described by the local newspaper as “thugs” chased down a pair of 12-year British bike riders, and stole a new mountain bike one of the boys had received as a birthday present just one day earlier. This is why people continue to die in the UK, as a killer driver walks with just community service after running down a pedestrian while doing 70 mph in a 40 mph zone. Police in Jerusalem can’t seem to decide if people can or can’t ride their bikes on a street that’s been closed to cars, some telling people they can ride on the sidewalk, and others saying they have to ride in the street. And ticketing riders for both. Sad news, as German world sprint and Olympic champion Kristina Vogel is in intensive care after colliding with another rider while training at a velodrome. Maybe your bike really is a work of art. Evidently they couldn’t figure out how to install Swedes, so they settled for poles. And a Los Angeles-based company claims to be the leader in incorporating AI technology into bicycles. Which will inevitably lead to something like this. Los Angeles’ hit-and-run car culture and deadly streets takes their bow in the national spotlight. And the picture isn’t pretty. The New York Times, in an article by LA-based reporter Jose A. Del Real, examines the problems on our streets and the rising toll among bike riders, through the tragic death of Frederick “Woon” Frazier in South LA. He note that the mayor has promised to ramp up advertising to fight the carnage on our streets. The purpose of Vision Zero is to remake our streets so that human mistakes don’t result in fatal crashes. It’s hard to see how even the most hard-hitting ad can equal the life-saving effectiveness of a single road diet. One that even quotes me couple times, along with the newfound advocates who’ve risen in the wake of Woon’s death. And Del Real did me the favor of not quoting most of the things I said, as he caught me in one of my more pissed off moods at the inaction of city officials in the face of the rising bike and pedestrian deaths and lawlessness on our streets. Then again, I don’t think they could print most of that in the Times, anyway. Maybe that national spotlight will embarrass our mayor as he angles for higher office. And make him realize he has a lot more work to do right here in the City of Angels first. Along with a few city council butts to kick. The streets are officially open. The Los Angeles Daily News looks at another successful CicLAvia in the North San Fernando Valley, and contrasts it with the dangers riders face on LA streets. KCBS-2 reports from earlier in the day. Los Angeles wasn’t the only city celebrating open streets on Sunday, as thousands turned out for the fifth CycLOUvia in Louisville KY.
And just a tad further north, Winnipeg, Canada celebrated its ninth annual Ciclovia. The Ad Council has posted the winners of their annual student film contest focusing on the dangers of texting while driving. Hopefully they’ll show these to the sheriff’s department. The city council’s Transportation Committee has voted to approve protected bike lanes on 5th and 6th Streets in LA’s Skid Row. That should make it almost a done deal, since the full council usually rubber stamps decisions made in committee. Update: Joe Linton informs me that the full council has already approved the motion, voting 11 to 0 on Friday to install the lanes. The LA Times travel section offers tips on how to choose a car bike rack for your next road trip. Best advice: Whatever rack you choose, make sure your can lock it to your car, then lock the bikes to the rack. And take them inside when you stop for the night or leave your car for any length of time. Calabasas-based 10 Speed Coffee is opening a new bike-themed outpost in Santa Monica. San Juan Capistrano police give a six-year old boy a new bicycle to replace the one he managed to jump off of, saving his own life just before it was crunched by a red light-running driver. However, it’s strange that the driver was booked on a felony hit-and-run charge, which requires serious injuries under California law; otherwise, it should be a misdemeanor. The new captain of the Chino Hills police department is one of us, and a long-time member of Redland’s Citrus Valley Velo cycling club. Cycling legend and commentator Bob Roll takes a low-tech roll through Silicon Valley. Trump’s tariff’s as he ramps up a trade war with China could come at the expense of the booming growth of ebikes, most of which are made in the Middle Kingdom. A new study refutes the myth that more and wider roadways are necessary for regional economic success, showing that the cities that don’t have traffic congestion are the ones that are dying. Bicycling takes a look at the new old Harley Davidson bicycle, which can be yours for a mere $4,200. Popular Mechanics rates the best multi-tools, and says every kind of bike is going electric, from motor scooters to cargo bikes. Thanks to Tim Rutt for the heads-up. An Anchorage AK bike shop suffered $75,000 in losses during a late night burglary, as thieves appear to be targeting high-end bicycles in the city. Taking distracted driving to a new extreme, the backup driver responsible for overseeing the self-driving Uber car — and preventing the crash that took the life of Elaine Herzberg as she walked her bike across a Tempe AZ street — was watching The Voice on Hulu, instead of the road. Police had initially blamed Herzberg, calling the crash unavoidable before realizing it was anything but. 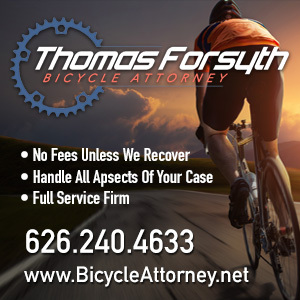 Three Utah bicyclists participating in a charity ride were seriously injured when they were run down from behind by a “drowsy” driver coming home from working a night shift; fortunately, their injuries were not life-threatening. While the rest of the country is just discovering protected bike lanes, Boise ID had them in the ’70s, but let them fade away. This is why you should always question police investigations following a crash. Colorado police reversed themselves after initially blaming the victim for a serious crash after they were finally able to talk to her in the hospital; she refuted the driver’s claim that she was riding her bike on the shoulder and illegally turned in front of him. Emotions run high as 18 bike riders return home to Oklahoma after a three-week ride through seven states, retracing the steps of the Cherokee tribe during the infamous Trail of Tears. LimeBike is threatening to walk away from Chicago’s pilot dockless bikeshare program over a clause that requires bikes to be locked to a stationary object when not in use. A Massachusetts town celebrates its history as a bicycle factory town by giving new bikes to 19 kids. 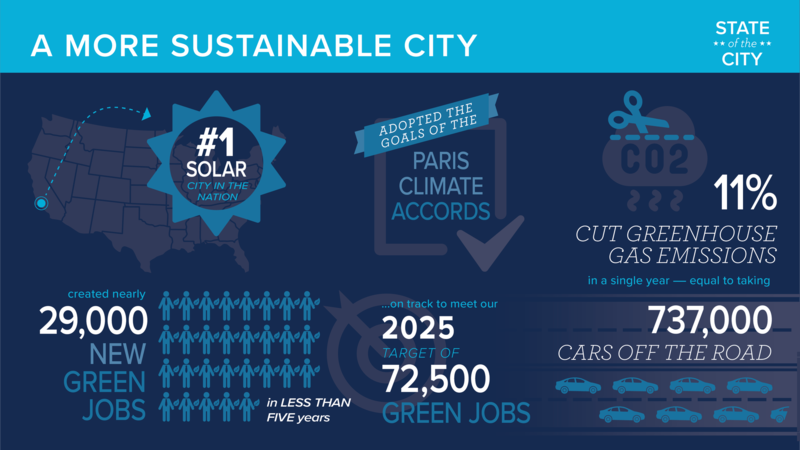 An op-ed in the New York Times says if we want to build a sustainable future, cities and people must take priority over cars. Sad news from Pennsylvania, where a woman was killed riding her bike home from her new job because she didn’t want to bother anyone by asking for a ride; her relatives didn’t even know she owned a bike. Naturally, police blamed her for the rear-end crash for riding in the traffic lane on a 45 mph road, rather than on the shoulder. City Journal examines the worldwide problem of vandalism and destruction that’s causing a major retreat by bikeshare providers, docked and otherwise. Road.cc reviews five of the best foldies, and considers 26 of the best books in bicycling. As if anyone has time to read when you could be out on your bike. Bike Radar recaps the week’s best new bike gear. A 29-year old Belgian man stopped in Winnipeg on a 30-month bike trip from the tundra of far northern Canada to the tip of southern Argentina. Caught on video: A Toronto bike rider catches a crash on a bike cam when he’s hit head-on by a driver making an illegal U-turn, who drove off after giving him a fake name and phone number. Amazingly, police don’t consider it hit-and-run since he didn’t need immediate medical attention. A commentator on a conservative website says a call for banning right turns on red lights in Toronto is based on junk science, saying that stats showing 13% of crashes occurred when drivers were turning right just means that 87% didn’t, and that drivers aren’t always at fault. By that measure, running red lights should be legal too, since it doesn’t always result in a wreck, either. A London writer says putting signs on the back of large trucks isn’t enough to protect bike riders and pedestrians from getting killed in their drivers’ blind spots. But ads will stop deadly crashes in Los Angeles, right? A English minister says he understands the benefits of bicycling, but may get rid of the bikes in his garage because of the dangers posed by motorists. Although he says “militant cyclists” don’t help the cause of bicycling by trying to impose their rights. Which is another way of saying people who want to legally ride their bikes without getting run off the road. This is the cost of traffic violence. A South African driver’s mother suffered a heart attack and his father has suffered from depression after he was sentenced to ten years for killing two bike riders. Then again, if you think that’s bad, imagine the suffering of his victims’ families. Nepal paid tribute to the country’s national cycling champion after he was killed falling into a river while competing in Sri Lanka. Aussie police warn of an “epidemic” of headphone-wearing cyclists and pedestrians killed in traffic collisions. If you can call an average of two a year an epidemic — and if the headphones were actually what caused the crashes. After all, if headphones cause crashes, car sound systems and hermetically sealed, soundproof vehicles should, too. Touching story as a Japanese man flew to Taiwan to thank the man who cared for his son when he was fatally injured by falling rocks while mountain biking. Now you can tour Vietnam and Sri Lanka by ebike. The fourth time is the charm, as SoCal’s Coryn Rivera nips Megan Guarnier to win her first US Pro national road race championship. Tennessee’s Emma White dominated the women’s U-23 races. An Idaho man was part of an eight-person team that set a new record of just under five days, four hours in the Race Across America. Bicycling explains how to watch the Tour de France this year. And no, streaming it live on your handlebars while you ride probably isn’t the best idea. Seriously? Team Sky’s coach says Chris Froome’s safety is at risk after five-time Tour de France winner Bernard Hinault calls Froome a cheat over his failed drug test. The race of the century — or at least the next few weeks — will roll on July 1st as the grudge match between LA’s own Phil Gaimon and alleged motor doper Fabian Cancellara will charge up Switzerland’s Col du Pillon. You can cheer Gaimon on with your own cookie-themed kit. That feeling when you miss your train, and end up beating it to your destination. Even Transylvania is becoming bike friendly. And presenting the Uniform Manual of Traffic Engineer Excuses. Another bike rider has been killed in a South LA hit-and-run, the third person murdered by heartless, cowardly drivers in the last week. All on streets identified as part of the city’s High Injury Network. And all in CD8 Councilmember Marqueece Harris-Dawson’s district. According to the Los Angeles Daily News, the victim was struck by one driver and run over by at least one other motorist at the intersection of South Avalon and East Century Boulevards — all of whom left the scene. KNBC-4 adds more detail, saying the victim, identified only as a man who appeared to be in his 60s, was crossing Century headed south in the crosswalk on Avalon when he was struck around 12:15 pm. Both drivers fled the scene, before a second driver in a Lexus SUV, eventually returned and talked with police. Which means the first driver should face a murder charge for leaving his victim lying in the street to be run over at least one other time. We’ll never know if the victim might have survived if the first driver had stopped. What we do know is that after leaving him sprawled and bleeding in the road, he probably never had a chance. We’ll also never know if he would had survived if the city had moved forward with the safety improvements called for as part of the LA Vision Zero’s High Injury Network. But we do know that the failure to take any action after identifying the problem could leave the city with a greater legal liability for this death, as well as the two previous deaths in the district this past week. Not to mention the bicyclist seriously injured in a deliberate hit-and-run assault while participating in a protest Wednesday afternoon. And never mind that the City of Los Angeles is well aware of the hit-and-run epidemic, but done little to address it other than passing a standing reward program. 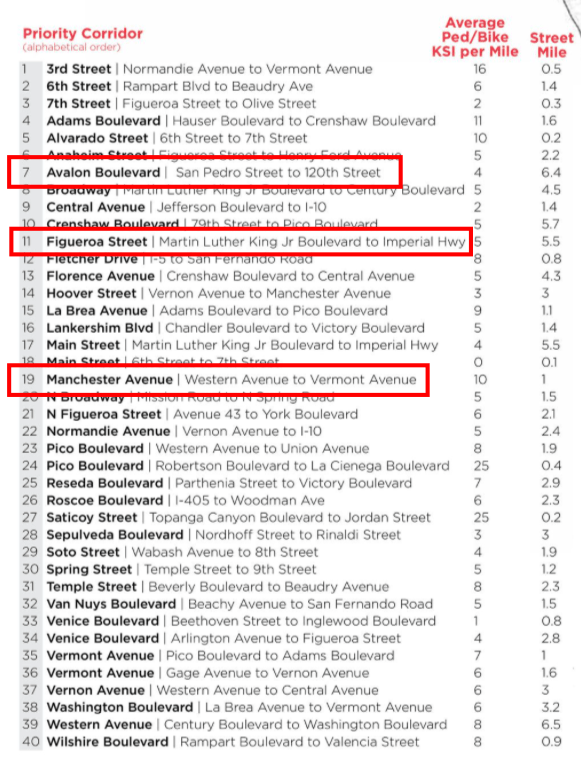 This is at least the 17th bicycling fatality in Southern California this year, and the ninth in Los Angeles County; it’s also the seventh in the City of Los Angeles. There is an automatic $50,000 reward for information leading to the arrest and conviction of the suspect in this case. Update: The victim has been identified as 60-year old Christopher White, no town of residence given. While the story mentions the $50,000 reward for the hit-and-run death of Frederick Frazier, there should also be a similar reward in this case under the city’s hit-and-run reward program. My deepest sympathy and prayers for Christopher White and his loved ones.